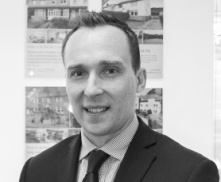 Philip lives locally with his wife and daughter in Greetland and has an in-depth knowledge and passion for the area having grown up in Stainland. Philip attended Hipperholme Grammar School before going on to study law at Lancaster University and representing the University in various football and cricket teams. Philip is proud to say his family have lived in and around Halifax and Huddersfield for many generations having been involved in the areas once thriving textile industry.